Our bodies are made of millions of cells, many of which wear out and die and need to be replaced. Sometimes, the process that creates replacement cells gets out of control, so that too many cells are produced, creating a lump or ‘tumour’. If the cells remain in the tumour, they are not ‘cancerous’, and the tumour is called ‘benign’. However, if the cells can leave the tumour and spread into other tissues, the cells are described as ‘cancerous’ and the tumour is called ‘malignant’. A small sample of cells, called a biopsy, may be taken from a tumour and examined under a microscope to find out whether the tumour is benign or malignant. We know that cancers are not infectious – cancer of the head or neck cannot be caught from someone like a cold or cough. However, we do not know very much about what does cause cancer. Only taking a biopsy –a sample of cells from the abnormal area – and examining it under a microscope can make a definite diagnosis. A CT scan or MRI scan may be performed before taking a biopsy to help identify the affected areas. 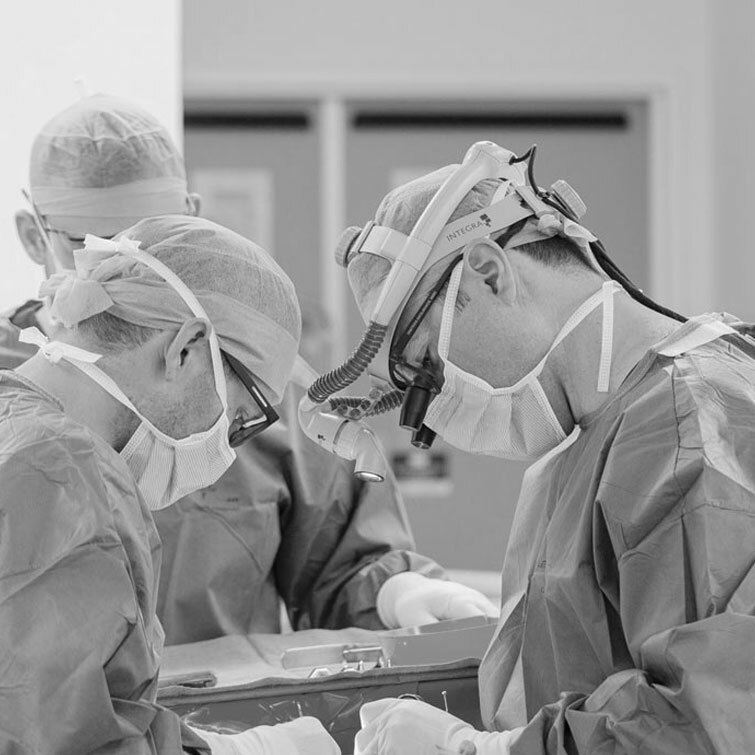 Your surgeon is specially trained to guide you through the steps of diagnosis and treatment. He works in a multidisciplinary team to ensure that the highest standard of care is made available and to co-ordinate the many allied health specialties vital in rehabilitation following treatment.